Free one-year warranty which covers repair or replacement. 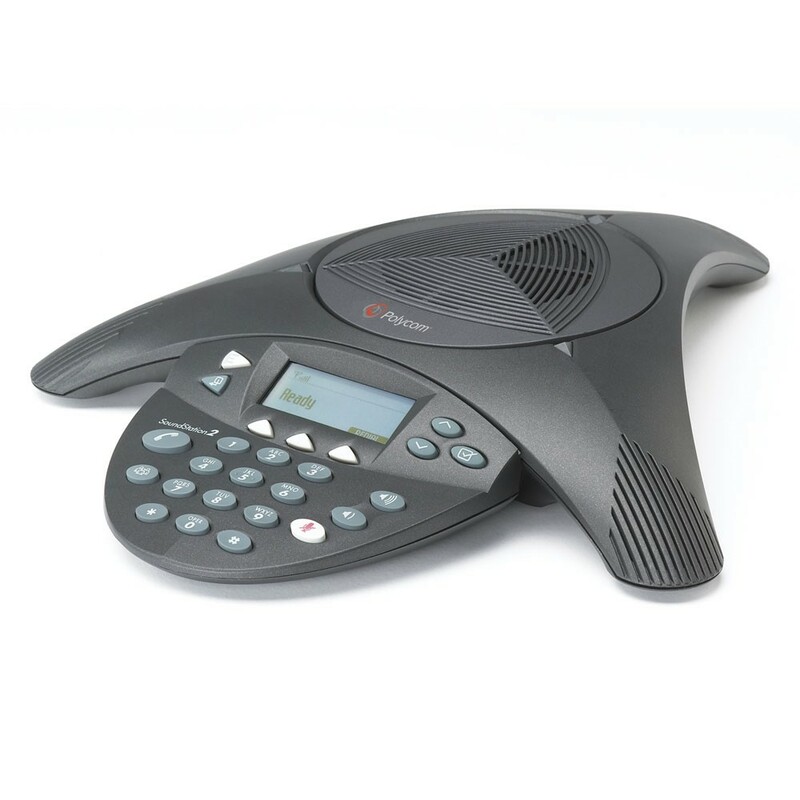 The Polycom SoundStation 2 EX conference phone, with industry-leading full duplex, delivers natural, simultaneous 2-way conversation. The SoundStation 2 EX will exceed your expectations when placed in medium to small conference rooms. The SoundStation 2 EX provides users with smart technology, such as Dynamic Noise Reduction (DNR), provides maximum microphone sensitivity, while reducing distracting background noise. The SoundStation 2 offers 360-degree microphone coverage with intelligent mixing. Refurbished Polycom Soundstation 2 EX units include all required cables, accessories, remote installation assistance, on-call technical support, and a one-year warranty which covers repair or replacement by 323.tv. New Polycom Soundstation 2 EX units come with a limited, one-year manufacturer warranty from Polycom.